Emoji Link is a URL shortener which uses emojis, which is a relatively new concept in the industry. For example, if you have a long URL http://www.iflscience.com/technology/would-you-eat-a-3d-printed-pizza/, you can turn it into short emoji URL like https://😻🍕.ws/🍕🍕🍕 via Emoji Link. This short URL is actually points to your original URL. What is domains with emojis? How does that work? Domains with emojis works because emojis are basically letters and ASCII symbols. For example, https://😻🍕.ws is actually https://xn--vi8hl0c.ws in the browser. Modern browser will help to translate it automatically. Emojis doamins are available in some newer Top Level Domains (TLDs) such as .ws and .la, which fall outside the standard rules governing other domain name extensions issued by the Internet Corporation for Assigned Names and Numbers (ICANN) in traditional TLDs. Which emojis can I use? Emoji Link currently supports most emojis listed in Unicode.org. How to use emoji auto picker? Just paste your hyperlink and click "GO!" Which emojis will not pick in auto picker? Flag emojis, emoji with modifiers, emoji with ZWJ sequences are not included in auto picker. But you can still copy and paste those emojis in "Choose my own emojis". Those emojis may not able to display correctly in older devices, use them with care. To view the list of those emojis, please visit Emoji Modifier list. If you wanted to study more about Emoji modification, please visit Unicode® Technical Report #51. How to choose which emojis used in my shortened URL? You can type in your desired emoji combination into the customize link field using the emoji picker (for Windows users) or using keyboard (for mobile or Apple users) after pasting the URL you want to shorten. Copy and paste is also work. The Emoji Movie is about to release! How to type/input Emoji in Windows 10? You can use the build-in touch keyboard in Windows 10, no 3rd party Apps needed. Can I preview where a link points to without going to the destination link? How to view analytics for my link? You can view analytics by append /info to the end of any emoji link, the number of clicks of the link will be shown. More analytics will be available soon. What is the shortest and longest custom emoji link allowed? The emoji link (or alias) can be anywhere between 1 and 25 emojis, which is nearly 2.86 x 1084 combinations of emojis! Although you can use up to 25 emojis, 1 to 5 emojis is good for memorization. My social media platform does not support sharing emoji URLs, what can I do? 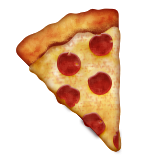 Try replacing 😻🍕.ws with emojilink.me. For example 😻🍕.ws/🍕🍕🍕 would become emojilink.me/🍕🍕🍕, or simply copy the second link generated. Still cannot get it work after replacing with emojilink.me? You have to convert the link into URL encoded format, please watch the video for more inforation. Can these emoji links change to where they pointed? Can I create second emoji link for the same URL? Yes, but you have to choose your own emojis instead of auto pick in creation. Which redirect methods does Emoji Link uses? Emoji Link uses 301 redirect. Yup, Emoji Link is free to use.